Rosewood Park Guest Suite is situated on 10 picturesque acres in Yarragon South. On offer is a fully appointed, tastefully decorated large self-contained guest suite with breathtaking views of the Baw Baw Ranges. 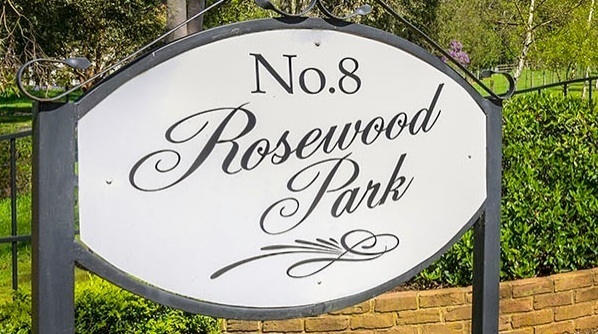 Set in a magnificent private botanical rose garden, Rosewood Park is just 90 minutes by car or train from Melbourne. Conveniently located only 2.5 kms from Yarragon village, relax in this peaceful and tranquil setting or use it as your base from which to explore everything on offer in Gippsland. Rosewood Park is perfect for couples or friends looking for that country getaway experience within easy reach of Melbourne or East Gippsland. Offering comfort, convenience, privacy and a peaceful, tranquil our spacious guest suite is ideal for two adults however we can accommodate three. This fully self-contained and independent air-conditioned suite includes a queen size bed with electric blanket and the option to sleep another on the comfortable sofa in the living room or on a queen size floor mattress. The bathroom includes a toilet, huge shower, large vanity and mirror, divine fluffy towels and hairdryer. Dine in using the fully functioning kitchen to prepare that something special for breakfast, lunch and dinner or if cooking isn't on the menu, head downtown on foot, bike or car to an assortment of cafes or the well known Yarragon Pub for a drink or meal. It's just 2.5 kms away. Stroll the botanic garden comprising over 250 roses, some of which are rare, whilst taking in the ever-changing panoramic views to the Baw Baw Ranges and surrounds.